Equian Acquires AfterMath Claim ScienceEnhancing Payment Integrity Data - Berkery, Noyes & Co., LLC. 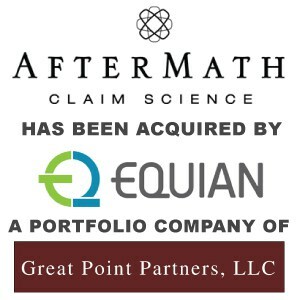 INDIANAPOLIS, IN–(Marketwired – Jun 16, 2014) – Equian completed the acquisition of AfterMath Claim Science, Inc. effective June 16, 2014. The transaction builds upon Equian’s commitment to the payment integrity market and accelerates Equian’s strategy of expanding capabilities through advanced data mining and analytics. Based just outside of Chicago, IL, AfterMath Claim Science is a post-payment recovery services company that identifies and eliminates medical claim payment errors. Since its inception in 2003, AfterMath Claim Science has been developing overpayment solutions for the nation’s leading healthcare payors. The company’s investment and commitment to their data mining technology (ClaimScopeR) was an attractive element of the transaction for Equian. “Equian has an impressive footprint in payment integrity that allows us to expand analytics, pre-payment and post-payment solutions to our clients,” stated Tom Shupe, former COO of AfterMath Claim Science and President of the AfterMath Claim Science division of Equian. Berkery Noyes & Co., LLC acted as the exclusive financial advisor to AfterMath Claim Science in the transaction. Equian is a healthcare information services company providing solutions throughout the United States — and around the world — that ensures each healthcare interaction is paid accurately, and at the lowest possible cost. 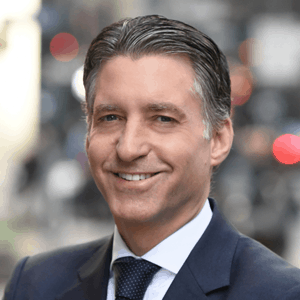 Equian is backed by Great Point Partners, LLC, a leading health care investment firm, and is recognized nationally by Inc. Magazine and Modern Healthcare as a leading high-growth company in health care. Visit equian.com for more information.